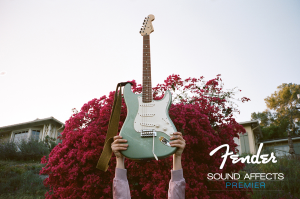 Sound Affects PremierNewsWhat’s new with the Fender Player Series Guitars? What’s new with the Fender Player Series Guitars? Fender have revamped their Mexi range of guitars and introduced the Player Series! Mexican made Fenders are undeniably great value for money and have been a staple of the Fender catalogue for years. Just when we thought they could not get any better Fender have revamped, renamed and re-marketed these guitars to charge our GAS and make us want more guitars! What is new with the Player Series? Satin Finished Necks: For those who have used satin necks, you know how comfortable they are to hold and play. Now you no longer need to keep the finest grit sandpaper in your gig bag to get that satin feel. Improved Pickups: The pickups across the range have been redesigned and improved so that they keep Fenders legendary chime and clarity without sacrificing power. This ensure an authentic tone that can easily be overdriven. New Finishes: A new series of guitars would not be complete without some new colours. Standout colours in this range include Buttercream, Tidepool and Sage Green! Two Point Trem on Strats: The two point bridge offers better tuning stability and a smooth action for a more expressive vibrato. A major upgrade at this price point. 22 Frets: Previous Mexican made Fenders had 21 frets. No more Rosewood Fretboards: Fender will now completely move from using Rosewood fretboards for the Player Series due to the CITIES restrictions that came in to play a few years ago. They will be available in Pau Ferro/Maple. Fender Player Series guitars are available now @ Sound Affects!